Home Unlock ZTE How to Unlock ZTE MF920VS WiFi MiFi Router? 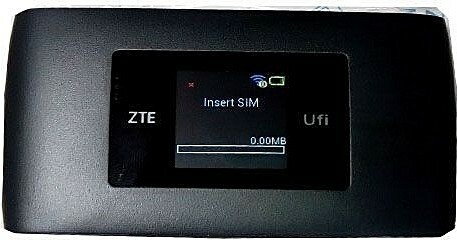 How to Unlock ZTE MF920VS WiFi MiFi Router? Unlock Code of ZTE MF920VS Mobile WiFi hotspot router is available. Means, if the device is asking for unlock code after changing the SIM card then it can be easily unlocked. Once the device is unlocked you can use the default SIM card as well as another network SIM card. Unlocking is one-time work, means every time you will change the SIM, you do not need to enter the code. Update : MTN MF920VS can not be unlocked by code, hence we have redirected to other page. Have to change the firmware of the device. It will cost 10USD. We will process remotely. 1. Switch Off the ZTE MF920VS WiFi router. 3. Now connect the ZTE MF920VS to PC using USB cable. 9. Now your ZTE MF920VS is unlocked forever. MTN Nigeria has also launched ZTE MF920VS which comes with firmware BD_MTNMF920VSV1.0.0B02. Unlimited unlocking of MTN MF920VS is now available. Contact us for bulk pricing. Previous articleHow to Unlock ZTE MF910V1? Next articleHow to Unlock ZTE MF91S2? Wow, your solution works flawless, thanks a lot Mr Kamlesh.